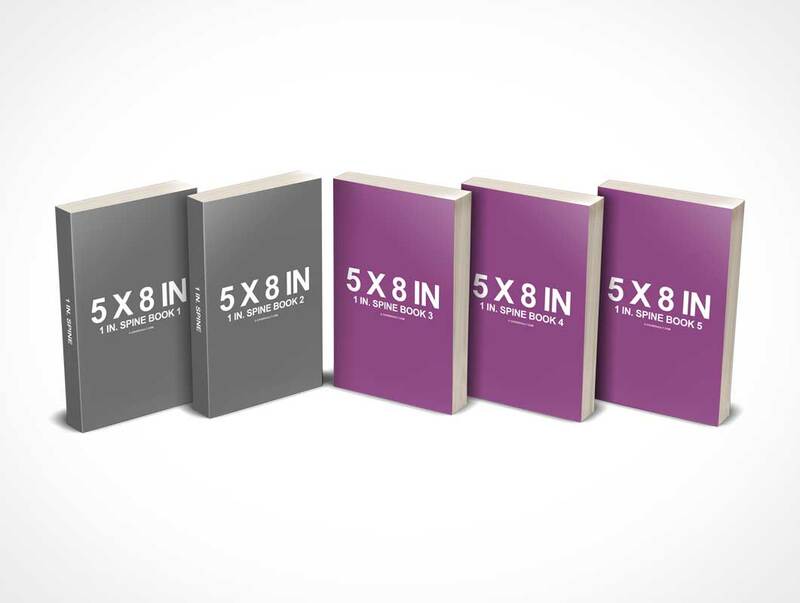 This PSD Mockup compositions displays a set of 5 paperback books standing and facing forward. 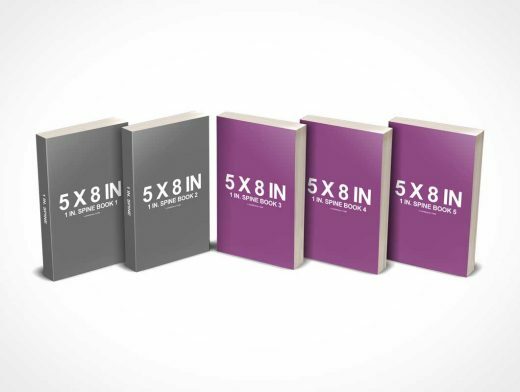 The set renders 2 books facing right at 30° while the other 3 paperbacks are set facing left. There whole composition is viewed from a view which sits slightly above the books looking down. The entire set is rendered onto a transparent background allowing for a custom scene to be fashioned into position.